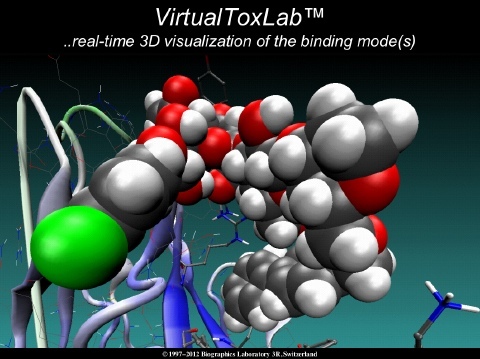 VirtualToxLab™ 5.8 featuring BzScore4D 4.0 (scoring and quantifying ligand–protein binding at the 4D level) has been released. All 2,500+ compounds of our in-house database have been re-evaluated. 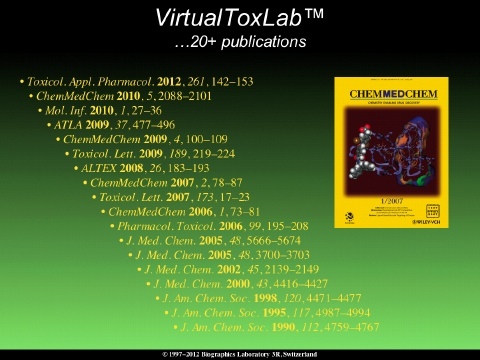 → Who uses the VirtualToxLab? 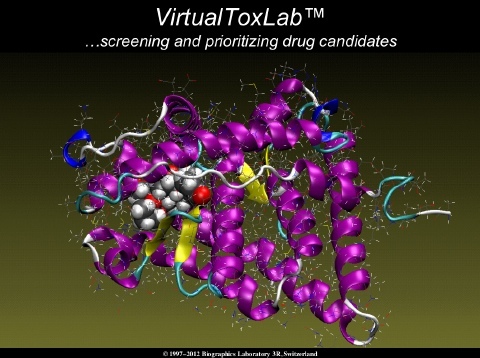 VirtualToxLab™ 5.5 featuring Aquarius 5.5 (sampling ligand conformations in explicit solvent) and BzScore4D 3.0 (4D Boltzmann scoring) has been released. The 2,500+ compounds of our in-house database have been re-evaluated. The results are shown → here. 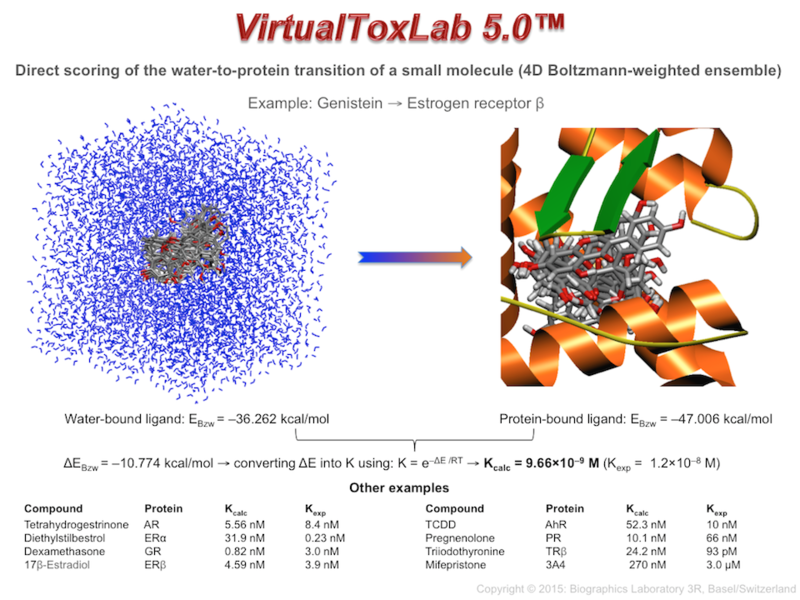 VirtualToxLab™ 5.4 featuring Aquarius 5.0 (ligand solvation in explicit solvent: now allowing for polarization) and BzScore4D 2.5 (improved scoring leading to fewer false-positive/negative predictions) has been released. 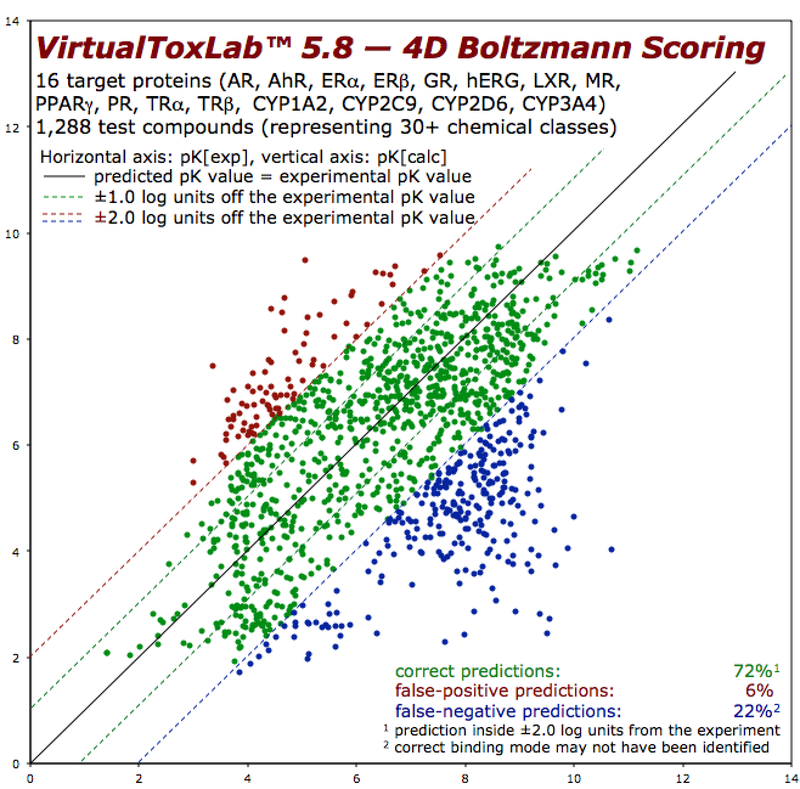 VirtualToxLab™ 5.3 featuring Aquarius 4.0 (dynamic solvation) and BzScore4D 2.0 (improved scoring function leading to fewer false-positive predictions) has been released. 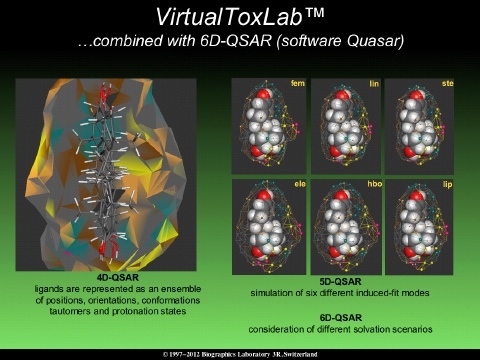 For all of our software (VirtualToxLab™, BioX, YetiX, QuasarX and MoMoX), the OpenGL libraries have now been embedded in the software distribution, i.e. they need no longer to be installed by the user (which used to be particularly troublesome under Windows operating systems). 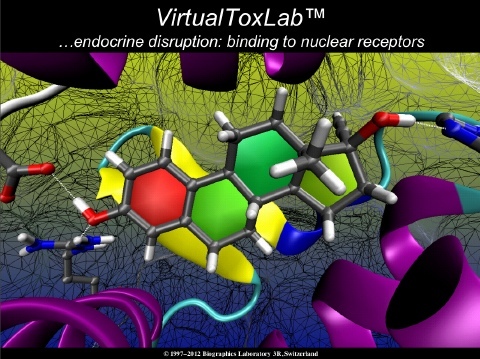 Version 5.2 of the VirtualToxLab™ has been released. 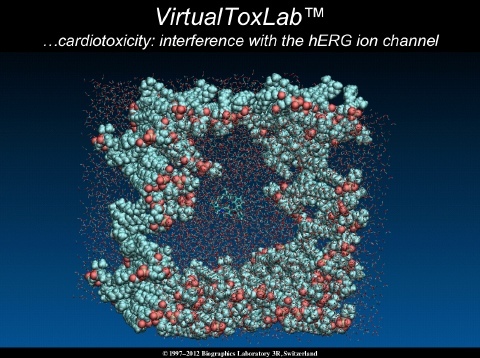 It features an improved 4D scoring function, a more sophisticated algorithm for estimating the toxic potential and our revolutionary → 4D viewer. Therein, the Boltzmann-weighted contributions to the binding affinity are rendered intensity scaled and the different poses (along with their Boltzmann weights) can be directly compared, which allows for an in-depth analysis of the binding mode(s). The new approach has been validated employing 1,288 test compounds. The results are shown → here. 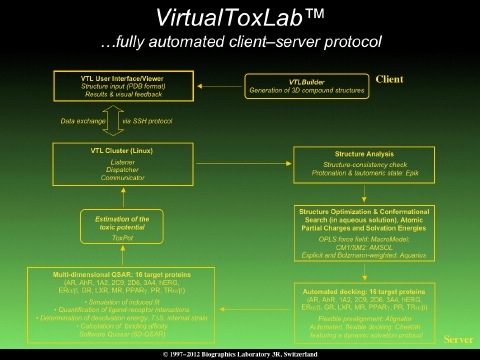 Version 5.0 of the VirtualToxLab™ has been released. 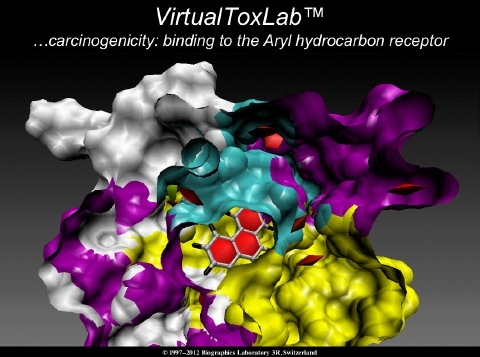 It features a novel 4D scoring function which estimates the binding affinity by comparison of the Boltzmann-weighted ensemble of a small molecule's representations in explicit solvent (software Aquarius) and bound to the target protein (software Cheetah). A graphical representation of the approach along with some examples is shown → here. 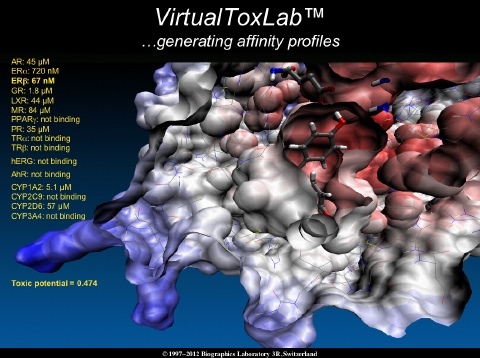 This approach eliminates any dependencies from training sets as the binding affinity is determined "ab initio" by simulating and quantifiying its binding to the 3D structure of the target protein. 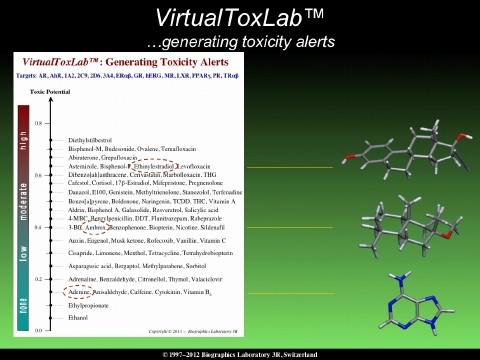 Version 4.9 of the VirtualToxLab™ has been released. It features substantially more templates — reflecting the current status of the PDB — for the prealigment process (software Alignator). 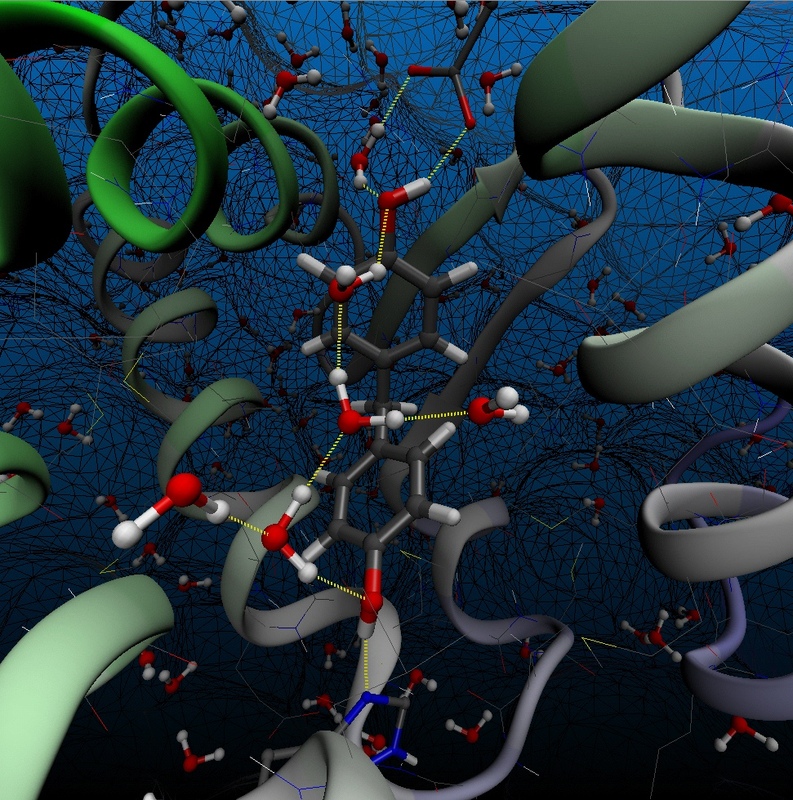 The software Cheetah has been further improved to include, among other things, a count of the effectively displaced water molecules upon ligand binding. The associated enthalpic and entropic contributions to the binding energy are now considered in the scoring, too. 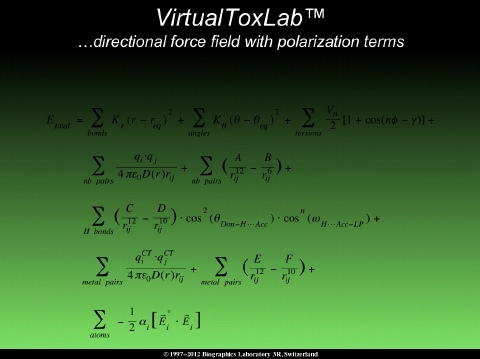 All mQSAR models have been revalidated employing mixed-model Boltzmann weighting at the 4D level. 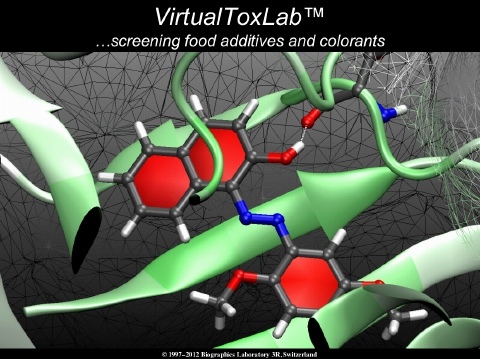 Version 4.8 of the VirtualToxLab™ has been released. It features triple consensus scoring, two algorithms for quantifying solvation effects (implicit and explicit), filters for low hydrogen-bond and hydrophobic saturation, more powerful versions of both the Alignator and Cheetah software as well as an extended mQSAR model for the progesterone receptor. 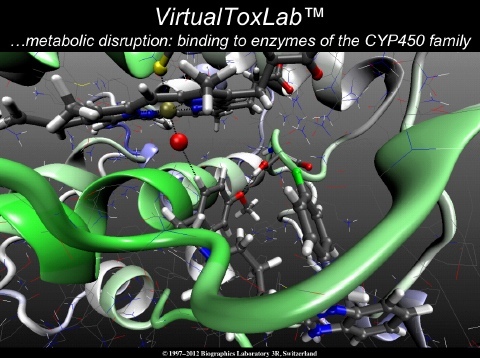 Version 4.5 of the VirtualToxLab™ has been released. It features an extended mQSAR model for the progesterone receptor along with a new solvation algorithm that allows for a better prediction of the toxic potential of charged species and zwitterions. 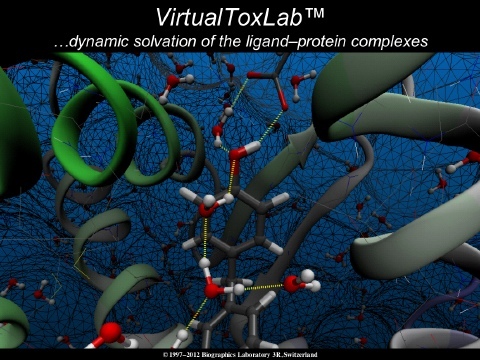 Version 4.4 of the VirtualToxLab™ has been released. It features new versions of both the Alignator and Cheetah software for more precise docking and consensus scoring (4D scoring combined with mQSAR) for more accurate affinity predictions. 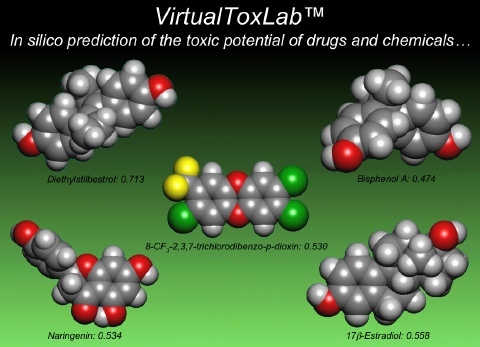 Most important, the philosophy underlying the ToxPot algorithm has been completely revised in order to allow for a safe assessment of a compound's toxic potential. 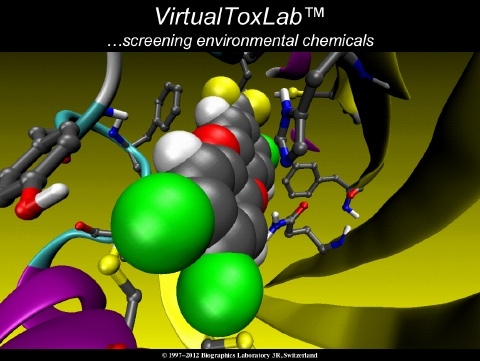 Version 4.2 of the VirtualToxLab™ has been released. 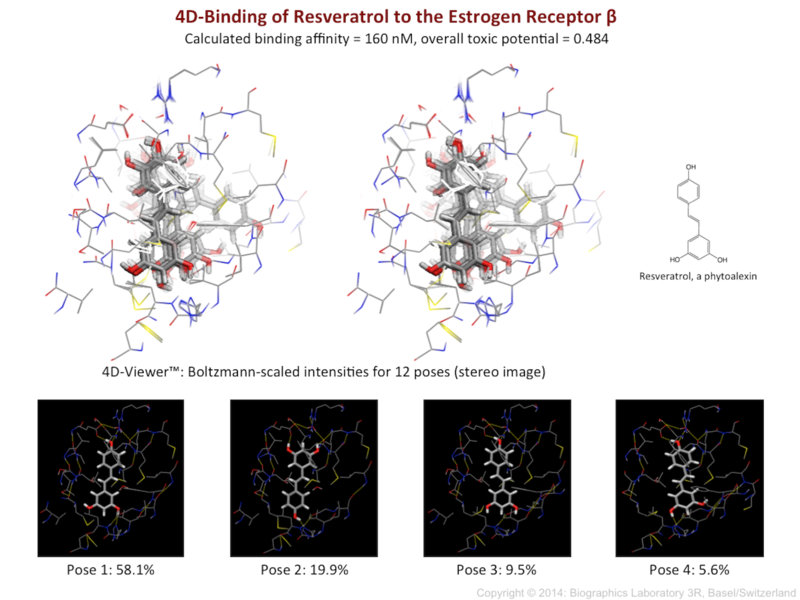 It features the software Alignator 2.0 for more accurate docking and includes a new model for the progesterone receptor. In addition, the algorithm for automated, flexible docking (software Cheetah) checks for both hydrogen-bonding and hydrophobic saturation. 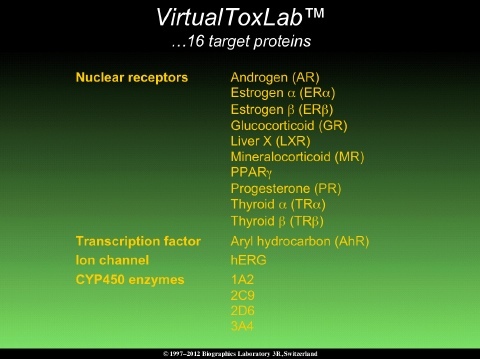 It tests the binding of small molecules against a total of 16 target proteins: AR, AhR, CYP1A2, CYP2C9, CYP2D6, CYP3A4, ERα, ERβ, GR, hERG, LXR, MR, PPARγ, PR, TRα and TRβ. 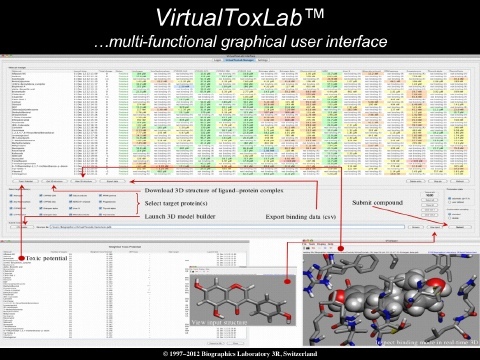 The Biographics software products BioX (model-building and refinement), YetiX (protein molecular-mechanics), QuasarX (6D-QSAR) and MoMoX (crystal-structure analyzer) are freely available. 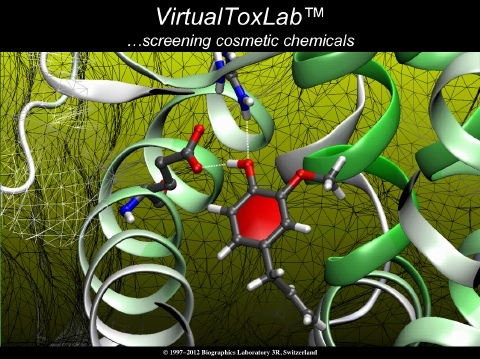 Version 4.0 of the VirtualToxLab™ has been released. 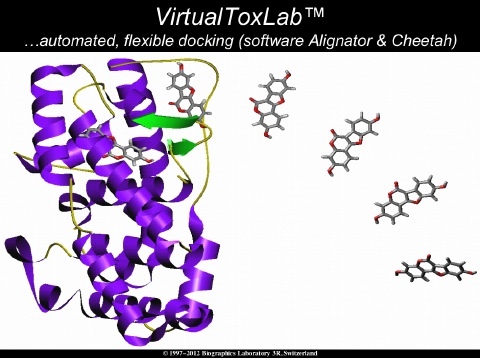 Its module for automated, flexible docking (software Cheetah 2.5) now features a dynamic solvation algorithm allowing for the identification of water molecules mediating ligand—protein interactions as well as a novel function to quantify the hydrogen-bond saturation. 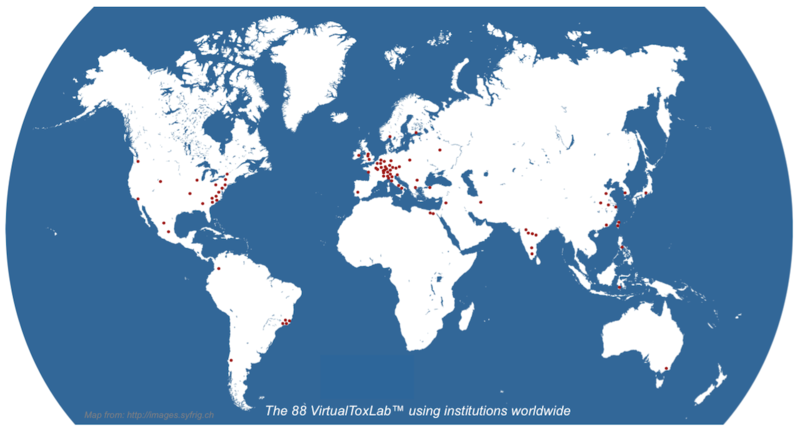 The OpenVirtualToxLab™ has been launched for institutional users with occasional need of the technology. It is freely available to non-profit organizations.